Arrive at Talingchan Floating Market pier and getting into the long tailed boat. Arrive at the first stop to feed the fishes from the canal while you are staying in the boat. Arrive at the local small temple where you can worship to the sacred black Buddha statue (you have 15 mins to tour around this old temple. Stop along the canal side where you can buy a local baked glutinous rice in bamboo joints (very delicious around this area). Return to the Taling Chan Floating Market where you can walk around or find your own favorite dishes for lunch. Drop you off at a Wuthakat BTS Station for safe and sound half-day tour. Thanks a lot to Chai for this nice Trip. 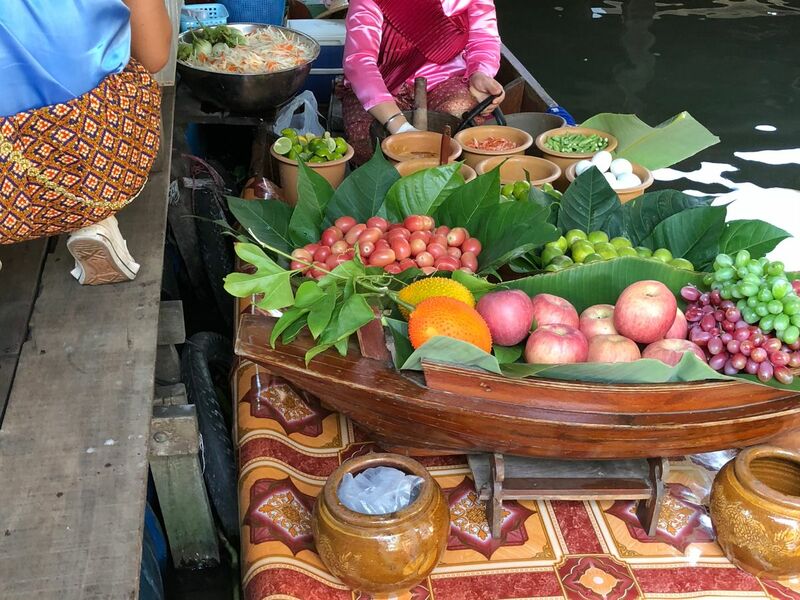 Kwan Riam Floating Market and Hua Mum Night Market – The Hidden Gem Market Worth Visiting!